UnivEarthS is a laboratory of excellence (Labex) funded by the french Future Investments Program. 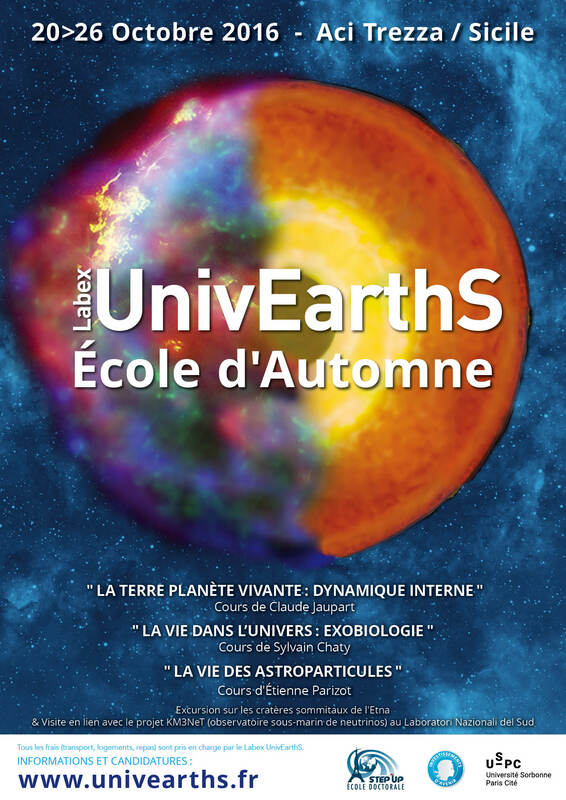 Interdisciplinary project combining geosciences and astrosciences, UnivEarthS includes an educational dimension. Since 2014, the Labex organizes an autumn school, inviting 30 participants in a course of one week on an exceptionnal location. The school’s goal is to provide training and a meeting point for students in different disciplines, to create interfaces and connections between Earth Science, Planetary Science and Physics of the Universe. We are pleased to invite you to the third edition of this autumn school, organized in Aci Trezza (Sicily) from 20 to 26 October 2016. 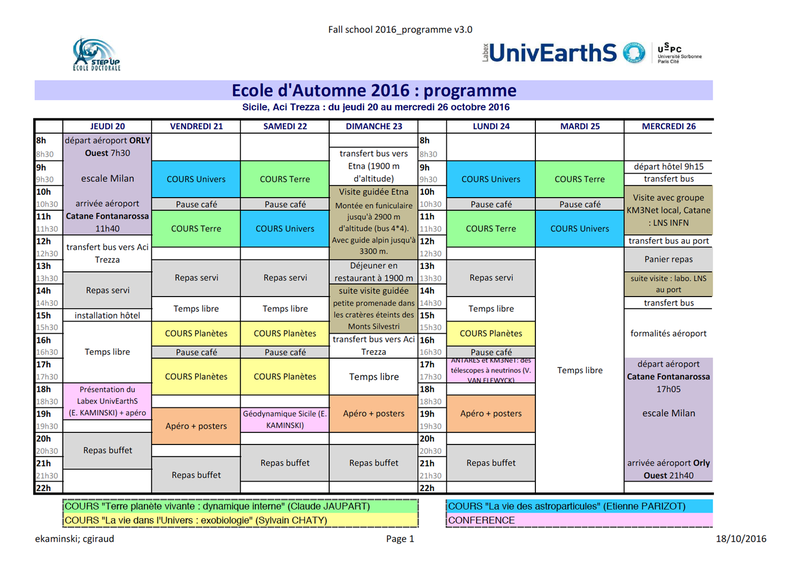 It is part of the overall theme of UnivEarthS “Earth – Planets – Universe : observation, modeling, transfer”. 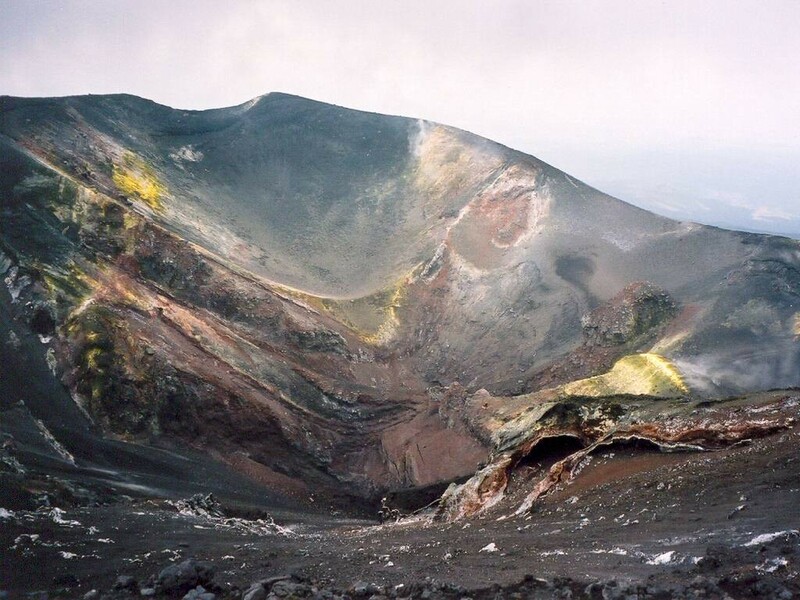 Also planned: an excursion to Mount Etna and a visit carried out by Véronique Van Elewyck in connection with the European project KM3NeT (underwater observatory for neutrinos). 26 places are available, with full financial support for UnivEarthS (travel, hotel and meals). The courses and lectures will be given in French. All the participants will present a poster about their latest research work or teaching. This school is Labelled by the ED STEP’UP 109 and can be part of the doctoral training program. Applications must be sent BEFORE Monday, September 5. A selection committee will review the nominations and confirm their participation to the successful applicants as soon as possible. Visit to the Etna : a trip to the summit craters of Etna volcano, with cable car + jeep and alpine guide (to at least 2500m above sea level). Good walking shoes are highly recommended! Mount Etna is an active stratovolcano on the east coast of Sicily, Italy, in the Province of Catania, between Messina and Catania. It lies above the convergent plate margin between the African Plate and the Eurasian Plate. It is the tallest active volcano in Europe, currently 3,329 m (10,922 ft) high, though this varies with summit eruptions. It is the highest mountain in Italy south of the Alps. Etna covers an area of 1,190 km2 (459 sq mi) with a basal circumference of 140 km. This makes it by far the largest of the three active volcanoes in Italy, being about two and a half times the height of the next largest, Mount Vesuvius. Only Mount Teide in Tenerife surpasses it in the whole of the European–North-African region. In Greek Mythology, the deadly monster Typhon was trapped under this mountain by Zeus, the god of the sky and thunder and king of gods, and the forges of Hephaestus were said to also be located underneath it. Visit in connection with the project KM3NeT: Laboratori Nazionali del Sud of INFN: visit of the integration chain KM3NeT optical modules and the integration of detection lines lobby. To be confirmed. 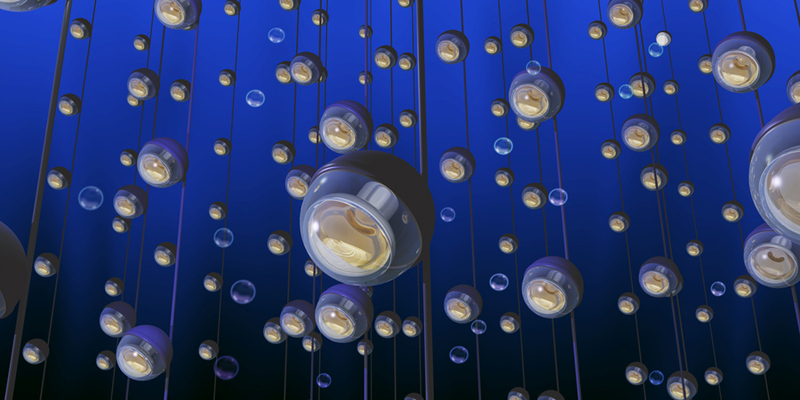 KM3NeT, an acronym for Cubic Kilometre Neutrino Telescope, is a future European research infrastructure that will be located at the bottom of the Mediterranean Sea. It will host the next-generation neutrino telescope in the form of a water Cherenkov detector with an instrumented volume of about five cubic kilometres distributed over three locations in the Mediterranean: KM3NeT-Fr (off-shore Toulon, France), KM3NeT-It (off-shore Portopalo di Capo Passero, Sicily, Italy) and KM3NeT-Gr (off-shore Pylos, Peloponnese, Greece). The 2016 Autumn School will take place in Aci Trezza in Sicily, Italy, from October 20 to 26. The dates of the flights are not editable for participants. During the week, two excursions will be organized (for more details, see the Excursions tab).